They even made it into the paper! 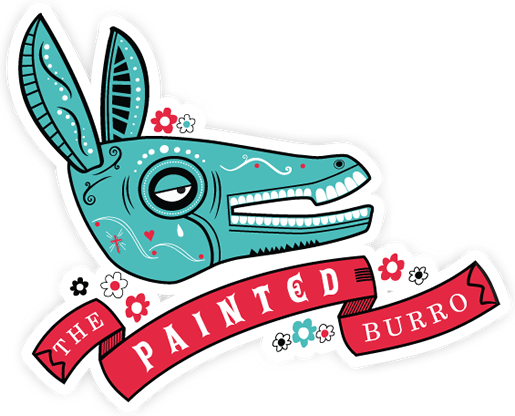 Not long after the popular watering hole, The Painted Burro, opened, they realized they had overlooked a major detail – the acoustics. And everyone, including The Boston Globe, caught on quickly. While the food and décor were on point, patrons left after an evening of competing to be heard with a doggy bag and a new case of tinnitus. And their competition included an open kitchen, storefront windows, communal tables, and a bar area that featured a concrete top, an oversized mirror and a menu chock full of shaken and blended concoctions. 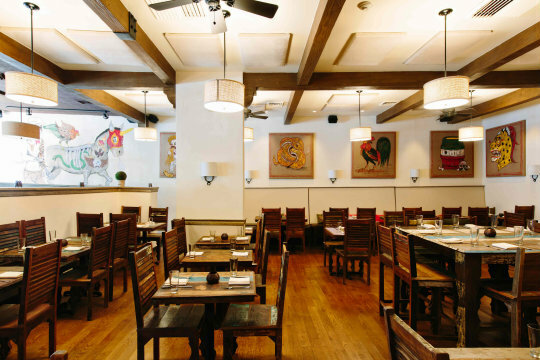 While The Painted Burro took drastic measures to lower the volume in the eatery, including moving the entire bar, they also relied on New England Soundproofing for cost-effective soundproofing materials to supplement their structural changes. 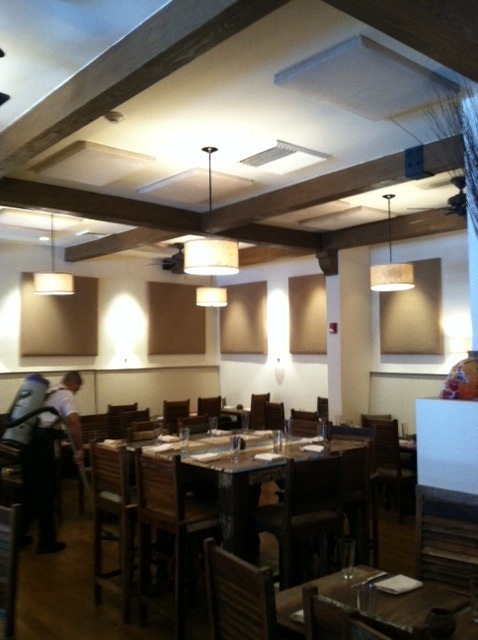 We lined the walls and ceiling with neutral-toned panels, on which a local artist painted vibrant Mesoamerican caricatures. The owners also opted to apply soundproofing materials to the underside of every chair for an inconspicuous additional boost to the sound mitigation. And the results? 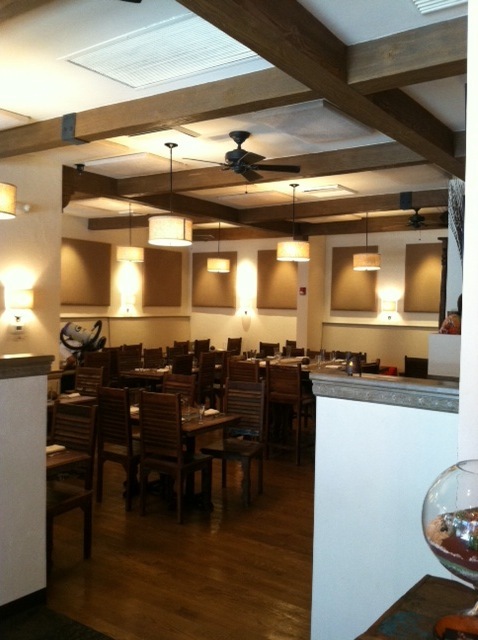 As Peggy Hernandez of The Boston Globe reports, “Customers have been raving about it since.” With the finish products installed and painted, customers, owner, and managers of the restaurant were very satisfied with the result, saying that "Guests appreciated the new artwork, and they didn't realize it was soundproofing." Customers replying online about how the panels have improved the experience at the restaurant and now they can eat in peace, while enjoying a nice conversation with each other. For more information about the restaurant acoustic work, see the blogs of local customers HERE or read a ZAGAT review HERE. 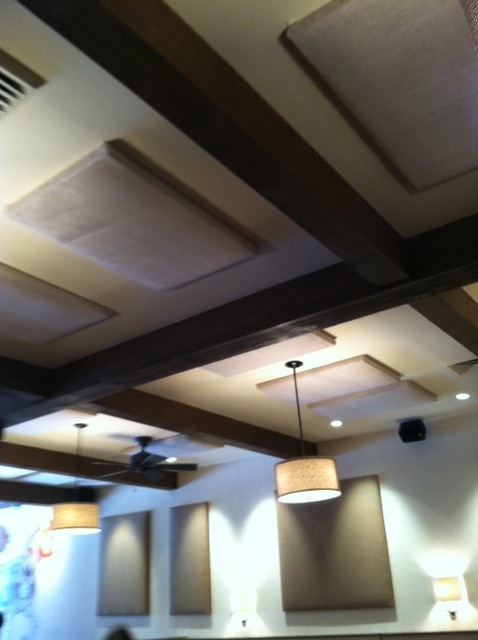 New England Soundproofing is proud to provide restaurants with solutions to help with the acoustics within the restaurant. 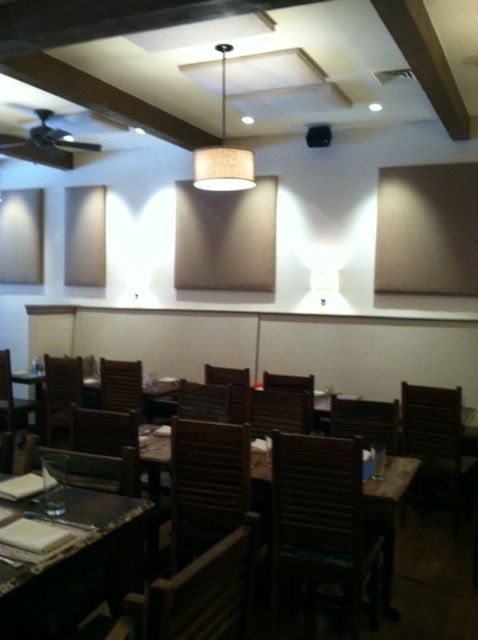 Contact New England Soundproofing at (781) 710-1261 for more information on restaurant acoustics and how we can help the noise within the room. PURCHASE YOUR ACOUSTIC PANELS HERE!! !